Here, the US-Theatrical Version (Rated R), represented by the korean DVD by BitWin, has been compared to the Unrated Theatrical Cut, found on a DVD-Release of the US Bootleg-label FleshWoundVideo. After the producers' favored version of the fifth sequel had flopped dramatically, director Joe Chapelle (who, a year later, also helped with a final cut for the theatrical version of Hellraiser 4) was instructed to write and shoot the script of a new ending for the flick - against the will of pretty much all of the members of cast & crew. Since then, there's probably been no other Halloween-film with this many different versions. Along with the original theatrical cut, the so-called Producer's-Cut is probably the most famous alternate Version of the film, which, compared to the theatrical version, includes the actually planned ending as well as a number of Scene-extensions. The Unrated Version of the official theatrical cut on the other hand is far less famous, which contains a few new plot-additions that do neither occur in the theatrical nor in the producer's cut, as well as a little more gore than the theatrical version. 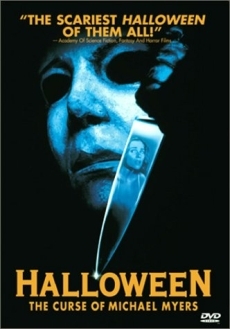 Concerning the extended violent scenes, unfortunately this version, like the others, misses the much more brutal and bloody surgery-scene, in which, among other things, a nurse gets disemboweled by Michael and Dr. Wynn gets decapitated - those scenes had initially been shot, but were removed before the release of the Theatrical version, to be able to potentially use the character Dr. Wynn in sequels. Like the Producer's Cut, the Unrated Theatrical Cut was never officially licensed released and only published as a bootleg. Of course, this version does not reinvent the movie, and, except for one rather interesting extension at the end, the lengthened scenes of violence aren't really worth mentioning. For collectors and completists though, this version surely is interesting. Duration times of the cut scenes relate to the R-Rated Theatrical Cut. The rest of the run time differences result from the respective rounding up or down of the duration time of single scenes to whole, respectively half, seconds. Short scene-extensions/-reductions that go below one second are not mentioned in this cut report, due to the missing relevance. 6 Extended scenes of violence = 9 Sec. 5 Extended plot scenes = 21 Sec. 4 Alternative plot scenes = 2,5 Sec. US Theatrical cut: Shortly after its birth, the baby is lying in a dark room that is lighted by many candles on an altar. A hooded member of the Thorn-cult is standing in front of it and is painting their symbol with blood on its upper body over time; the camera slowly comes closer to the altar, respectively the baby. During this scene, the credits to the film are being faded in. Unrated Version: Here, the baby lies in a closed glass container in a brightly enlighted, more technological looking room. The Thorn-symbol painted with blood already is on the upper body of the baby, who is being looked after by a nurse, while the camera gets ever closer to the glass container, respectively the baby. There are no further credits being displayed here. During the transition to the next scene, there is the sound of a knife slashing to be heard in the TC; the UV misses this. However, the voiceover by Tommy is identical in both versions. The sequence of the TC is a bit longer at this point. Jamie, who is impaled on the machine is holding her arms towards Michael for another moment. Michael for his part is also holding his arms to Jamie for a bit longer before he pushes her further back. The camera sways a bit further below while Jamie is being milled; more blood is being spilled. The back view of Jamie who is screaming while bobbing up and down on the working machine is also a bit longer. Danny apparently hears the dark voice, which talks to him in the night as well, from outside calling his name and turns to the window. Also, the scenes in which the beaten Kara turns to her father respectively the one in which her mother stands up and her brother yells "Get away from me!" are switched in the respective versions. The dialouge between Dr. Wynn and Dr. Loomis has been extended a little. Dr. Wynn: "You devoted your whole life to destroying it - while I embraced it, studied it!" Again, a slightly extended dialouge. Moreover another take of Dr. Wynn is being shown during the sentence "Oh yes, I had my failures..." which can also be heard in the TC; in the UV though, a take of Dr. Loomis is shown before. Dr. Wynn: "You cannot deny you always wanted to know what is behind the power - to hold it, to control it. The druids understood this. I have been able to harvest that power!" A take of scared looking Tommy. Michael presses the doctors' head through the bars so hard that it starts to dissipate. After Michael has pushed the head completely through the bars, single pieces fall down on the other side on the ground before finally the grid falls out of its frame as well. The death cries of Dr. Loomis in the Off shortly before the end credits begin are missing in the Unrated Version. In the UV, during the fading-in of the end credits, a short dialouge from the first Halloween is being brought in. Laurie Strode: "Was that the boogeyman?" Dr. Loomis: "As a matter of fact - it was." Moreover during the end credits of the TC a rather rock-heavy track is being played while in the UV the original Halloween-theme is playing.